Last year, Channel 5 sent 20 British people back to the Stone Age in a controversial social experiment to see if they could survive two months in the wilderness. We caught up with “Snake Tribe” member Dan Catcheside (now safely back home) and grilled him about survival skills, hunting for food and getting back home to his family. Hi Dan! What was it about the first series that convinced you to sign up for Two Tribes? My wife and I don’t watch much television but 10,000 BC was one of the few shows we were glued to. After the series I said, ‘I think I can do this’ and she said, ‘Well, go on then if you think you’re tough enough!’ I loved the sense of achievement that the final few found. What they went through was very inspiring. You went out with some skills already (archery, fishing) – do you think they were vital to helping you and your tribe survive? I think any skill that is related to a primitive lifestyle is an asset to any tribe. I think there are one or two attributes from the modern day that can be applied to the Stone Age. Suzanne is a good example of this, coming from a fast paced working environment (Suzanne was an A+E nurse) gave her the ability to take the bull by the horns and lead it in the direction it needed to go. How did you feel about hunting and killing your own food and did you take part? I’m not against it as long as it is done sustainably and humanely. In the experiment we were purely hunting for food. We hunted successfully, we processed the deer and it sustained us. Nothing went to waste on that deer. Did you have to eat anything unusual? We’ve now seen the two tribes discover each other, can we expect to see clashes between you both? I think the viewer will notice a significant difference between the two tribes. Initially, there was a bit of competition. I became affiliated with the Cray tribe towards the end. Not that I changed sides, I was a Snake Eater through and through! What did you learn about yourself during the experience and what lessons did you take home with you? I gained a better understanding of myself. Where I come from and where i want to be. I’ve taken from the experience a new found respect for the little things in life. My son will be three in February and being away from him was tough. He refers to me as a caveman! The least I can take from the experience is fantastic bedtime stories. It has given me so much to share with my son. I can’t wait to go camping! What does your son think of daddy being a caveman? Is he excited to see you on TV? Due to the profanities on the show he won’t be watching it just yet but rest assured he knows his daddy is a caveman at heart. Which home comfort were you happiest to come home to? Being back with my wife and son – that is a home comfort to me. It was an awesome experience and if you gave me a chance to go back out there I would do it in a flash. It was tough being away from my wife and son but the next time I might be able to take them with me and bring them over to the Stone Age side of life! 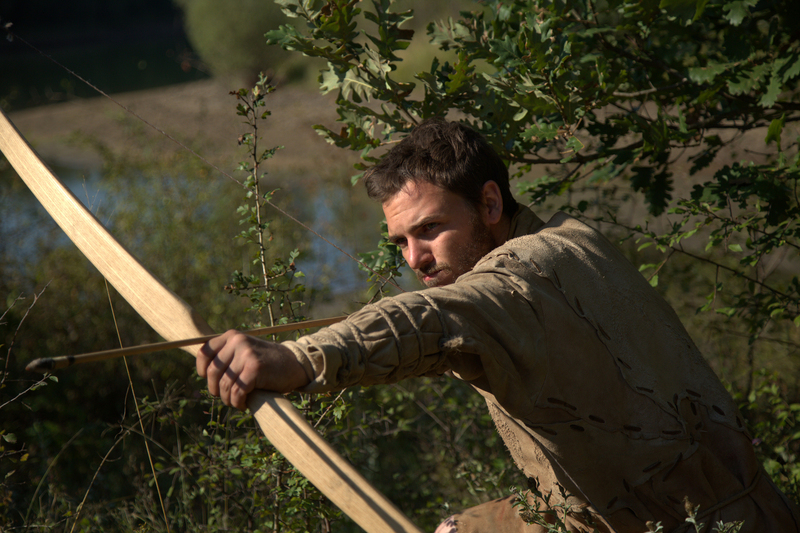 The third episode of 10,000 BC: Two Tribes airs tonight at 10pm on Channel 5. Will the Crays convince ace fisherman Dan to join them?